The aim of this article is to review the current main criteria for tooth extractions in the prophylaxis and treatment of malocclusions and dentofacial deformities. 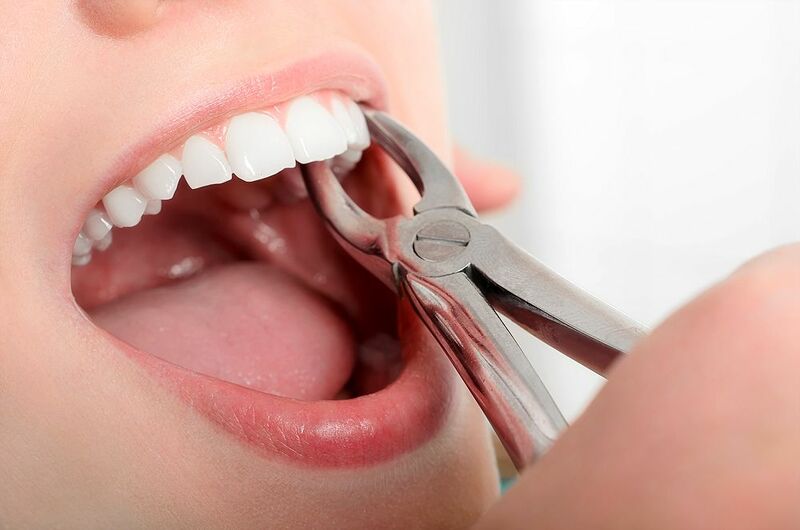 Dental extractions are an essential therapeutic weapon in the management of certain malocclusions. They are indicated for obtaining arch space, improvement of facial aesthetics and achievement of balanced occlusion, among others. "Conventional" standards of therapeutic extractions correspond to different combinations of symmetrical extraction of premolars; however, atypical extractions which do not follow a definite pattern are becoming increasingly frequent. They are more common in adult patients and are performed for reasons related to the pathology of the extracted tooth itself or to the demands of unconventional malocclusion treatment. Examples of atypical extractions are that of a lower incisor with indications, contraindications and undesirable effects which are well defined. Temporary teeth extractions may be performed as part of an eruption guide programme, which must be adapted to the situation of each patient and never considered as a rigid scheme of general application. The need to perform extractions as part of the treatment plan for some malocclusions remains one of the great controversies in orthodontics. Morón Duelo, R., Marcianes Moreno, M., De la Cruz Fernández, C., Domínguez-Mompell Micó, R., García-Camba Varela, P., Varela Morales, M.